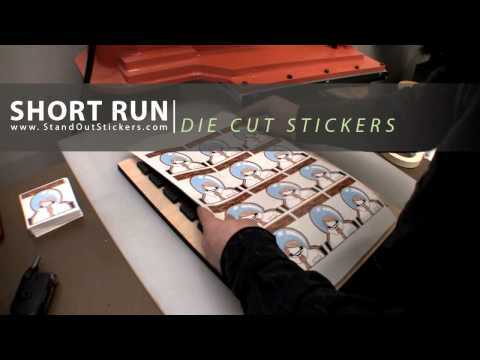 Standout Stickers Wants to Give You 50 Free Stickers! After you post a link to Standoutstickers.com on your site simply send them an email to [email protected] with the subject: Stickers – IAMTHETREND. Include in the email: Artwork, A link of to our link & your mailing address and then you’ll receive your free stickers in 7 – 10 business days. It’s that simple!!! Please visit our Affiliate Page to grab our text links or banner links. I have actually gotten a chance to see these stickers in person and I must say they do an absolutely incredible job printing and die-cutting them. You really can’t go wrong with this offer! The are also constantly running sticker promotions so if your in need of stickers for your company, band or personal use definitely check these guys out! BAM Got me some free stickers! Got some stickers too, the quality was awesome and for free stickers what more can you want? Im really looking forward to when ours come in! Let us know how yours turned out! Has everyone gotten their stickers yet? Im still waiting. Any knowledge on whether they plan on closing this beautiful deal at a certain time, or is it for as long as the feel like? Nice. I just sent the e-mail. I hope i get! Well, they did eventually reply. They also told me that my stickers were printed and shipped, but that was about a month ago and I still have not recieved anything. I have emailed twice since and have gotten no reply. So, I will order stickers from elsewhere now.